Portland is on the Top 10 of so many lists (breakfast joints, budget travel, best beers, friendliest people, town people want to move to, physically fit residents, etc...). Portland is such a great little town, sometimes I forget how unique this place is. I came across this article today that lists Portland as the #1 place in the world for Street Food! 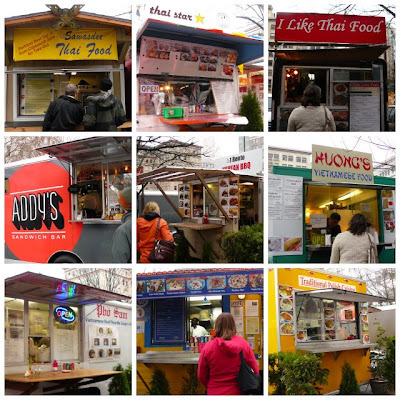 When I lived in Portland there were a good handful of food carts but it's nothing like it is today. There are everywhere & all over the city. Here is a link to the Food Cart website!